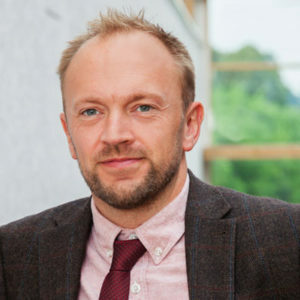 One of our Rural Partners, Tim Howard, gives his views on the current rural market and summarises what trends and results Howkins & Harrison have been seeing over the last few months. At the time of writing this, with the Brexit debate still rumbling on in Parliament, the Agriculture Bill seems like it was put forward a lifetime ago. The Bill was designed to give us a view of a post-Brexit England farm policy. Whilst everyone welcomed a document to consider and discuss there is much that still needs to be thought through and understood to determine the impact on businesses. Some businesses may decide that incomes are not sustainable and therefore selling or renting land to direct resources to alternative ventures is an option for consideration. In reality, subsidies and the return from agricultural land are completely detached from the values of land. The main drivers of land value are the tax benefits that owning land provides either for ‘rollover’ or IHT purposes. There has been very little bare land offered for sale in the Midlands this year, although we have done more private deals ‘off-market’ than we have done in previous years, with vendors and purchasers alike seeing the benefit of a low key and relatively quick deal, facilitated by our contacts and knowledge of the area. Prices vary between areas but are still in the region of between £8,500 and £12,000 per acre as an average. We have achieved more but this is mainly down to the specific location of the land close to an existing business, or if the land is strategically located. Finance is still relatively affordable to obtain and is available from many of the high street banks, and of course AMC for whom we are agents. 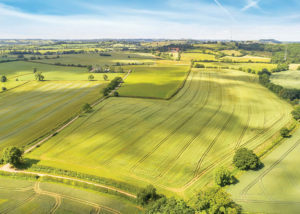 From an agency perspective the main highlight this year was Norborough Lodge Farm in Northamptonshire (pictured left), a 370-acre pasture and arable farm that was guided at £3.7m, and is now sold subject to contract to two local farming families. We’ve also seen an increase in the number of development projects offered for sale. We work with our experienced Planning Team to create and design a scheme of single or multiple plots or barns that we feel would be a saleable product. Our Planners then work their way through the planning process, managing consultants and architects, to get to the stage of approved permission for the vendor. We can then offer the property for sale with the full knowledge of a complete and implementable consent that has added significant value to our clients’ property. If you are thinking of selling, we have the skills and experience in dealing with all types of property and methods of sale and will be happy to come out and discuss your requirements, with no obligation.